Whether or not we think about it, we improvise every day. In speaking, we combine words and grammar to communicate on the fly. When cooking, we might alter a recipe or throw together a meal from scratch. Navigating through the day, we invariably improvise direction and pace, sometimes altering our course midstream to avoid a collision. What would happen if we brought that improvisation to a more conscious level, particularly in our physical movements? Just as poets play with language to illuminate the human condition, and chefs noodle around with taste and texture, can we use our bodies as rich mediums for self-expression and interaction with the world? Four Vermont dance artists would respond with a resounding yes. Hannah Dennison, Lida Winfield, Penny Campbell and Susan Sgorbati have been guiding novice and experienced dancers alike through the art of movement improvisation in an ongoing series of weekend workshops. Two workshops will take place on December 2 and 3 at the University of Vermont in Burlington, and two more are scheduled for March and May 2018 at Middlebury College. Each weekend consists of two four-hour afternoon workshops, one each day. Saturday workshops, designed for movers of all experience levels, include warm-ups to increase body awareness and activities for discovering habits of movement and new, creative possibilities. Participants "learn how to allow [their] creative impulses and ideas the freedom to take an initial form, then rework, refine, explore and explode them in order to create dances in the moment with the help of ... fellow movers," wrote Winfield by email. A visiting assistant professor of dance at Middlebury, she performs and teaches dance and spoken word locally and internationally. Winfield wrote that, on average, a third of the Saturday workshop participants have been novices. "We're doing simple scores, but really what's coming out of it is very complex," said Molly Kaye by phone. A recent UVM graduate who attended four workshop weekends in 2016 and '17, she recalled exercises in which she focused on how she and others created and changed shapes and patterns in space. As a result of the workshops, she said, "physically and visually, you become aware of these shapes and patterns throughout the day when you're walking down the street in ways I wouldn't normally think about." Sunday workshops are designed for dancers with extensive improvisation experience to tackle complex compositional questions. "What skills can help us recognize and develop whatever movement material surfaces for us? How can we let that material lead us into unfamiliar forms and content without dropping or diluting our work?" writes Campbell by email. 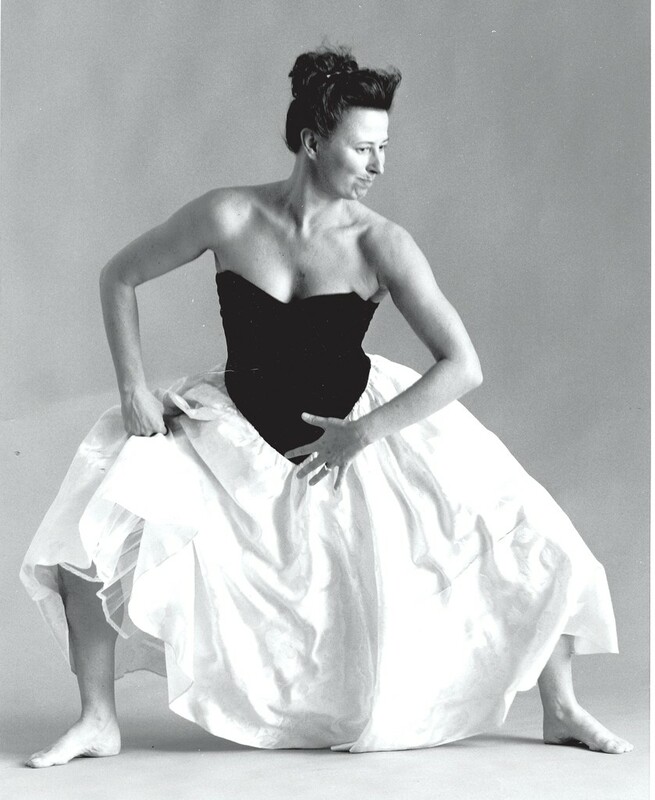 A retired Middlebury dance professor and lifelong artist, she coined and has built a career on "performance improvisation," the art of cultivating artists and ensembles who can cocreate concert performances with no premeditated scores. Performers of such works monitor their movement choices with an awareness of internal and external contexts, asking themselves questions such as What inspires this movement, how could it evolve, and how does it relate to what others in the space are doing? "In Performance Improvisation," Campbell writes, "impulse is fine, but one has to be able to follow it up, develop it, compose with it, be disciplined with it ... not just drop it like a rock and take no responsibility for it." Dennison and Winfield began offering the improvisation workshops in 2012, after they completed Dear Pina, a dance-theater tribute to German choreographer Pina Bausch. Performed at the Shelburne Farms Breeding Barn, Dear Pina was one of numerous site-specific performances directed by Dennison, the founding director of Cradle to Grave Arts and a longtime local dance artist. "Improvisation has been my primary technique for inquiry and comprehension in all aspects of my life, offering me the opportunity to respond with open attention to any situation," wrote Dennison by email. Ever since the first workshops, held at Capital City Grange in Berlin, Dennison and Winfield have taught the Saturday workshops themselves and invited Vermont dance professionals from Middlebury, Bennington College and beyond to teach the Sunday ones. In addition to Campbell and Sgorbati — a member of the dance faculty at Bennington College and also a longtime dance artist — these instructors have included Christal Brown, Elena Demyanenko, Scotty Hardwig, Dai Jian, Polly Motley, Tzveta Kassabova and Sam Wentz. In 2013, Dennison and Winfield partnered with the Flynn Center for the Performing Arts, which has remained their primary workshop partner and sponsor for the past five years. "We have a commitment to supporting local dancers and choreographers and the local contemporary dance community," said Flynn education director Jessica Handrik. The workshops allow Dennison and Winfield to leverage their standing in the dance field, she said, "to support the development of local choreographers as art makers by providing a richer, more diverse range of experience." In 2016, Dennison and Winfield brought in a second partner — the UVM Dance Program — to encourage student participation. This year, they've added a third partner: the Middlebury Dance Program. "I love developing connections between university and community dancers," UVM dance program chair Paul Besaw wrote by email. Workshops typically draw a mix of college students and community members of all ages. "It's especially great to have Penny and Susan on our campus," Besaw emphasized. For dancers looking to deepen their understanding of the art form, performance improvisation artists wanting to broaden their skills and dance novices hoping to sashay down the sidewalk with more original panache, these workshops may offer just the ticket. The original print version of this article was headlined "From Impulse to Intent: Dancers and Novices Improvise in Learning Labs"